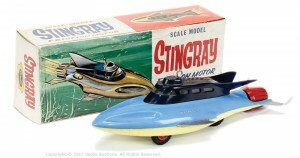 Gerry Anderson’s Stingray, the 1960s children’s marionette adventure series about a futuristic submarine patrol remains a cult classic and we take a look at some of the Stingray collectables, Stingray merchandise and Stingray toys that have appeared over the years along with prices at auction and a Stingray price guide. 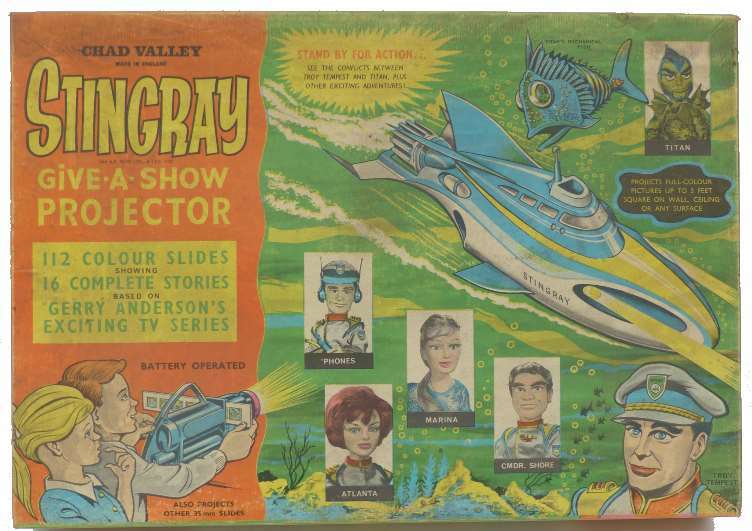 Chad Valley Stingray Give-a-Show projector. 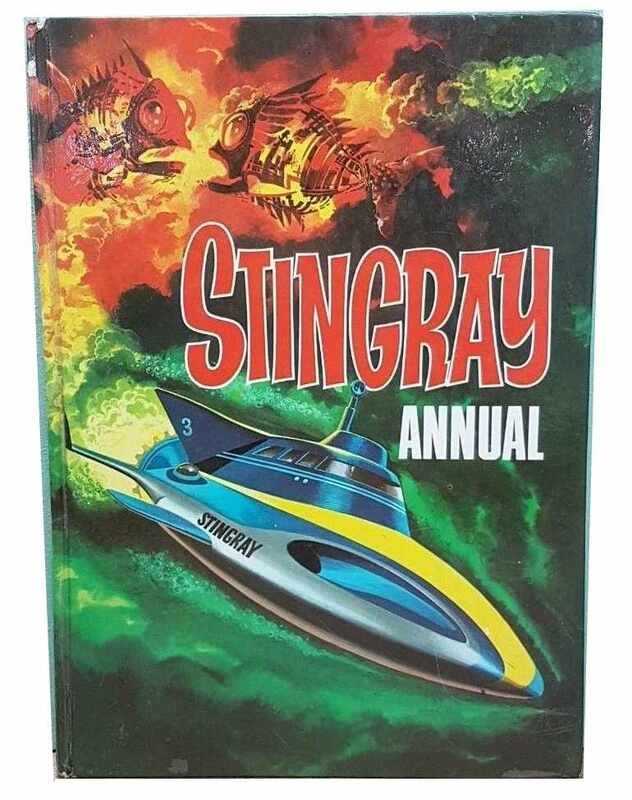 Sold for £80 at Stroud Auctions, May 2018. 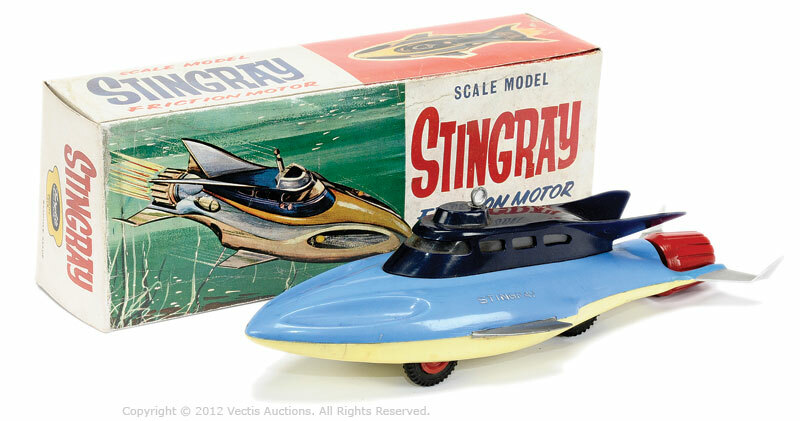 Lone Star Gerry Anderson’s Stingray Working Model Craft. 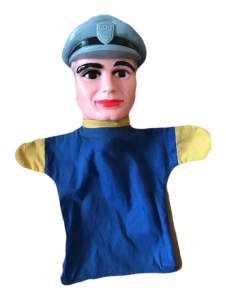 Sold for £65 at Astons Auctioneers, May 2018. 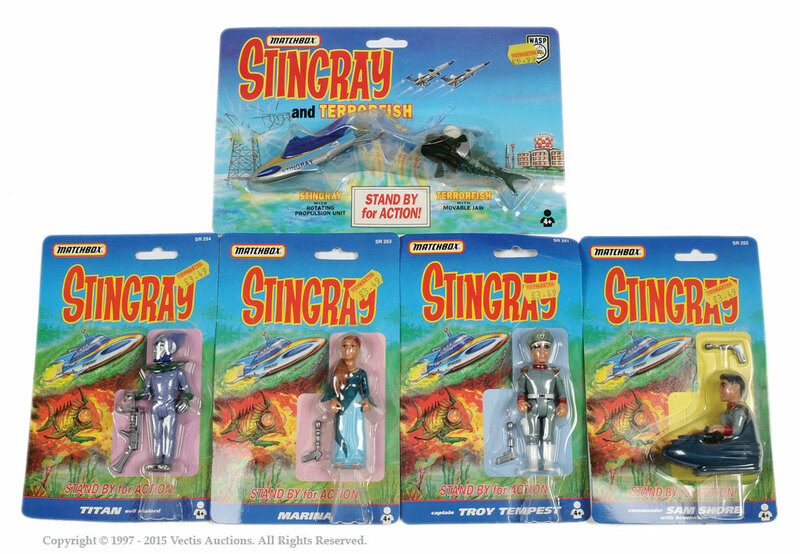 Matchbox Stingray figures on card. 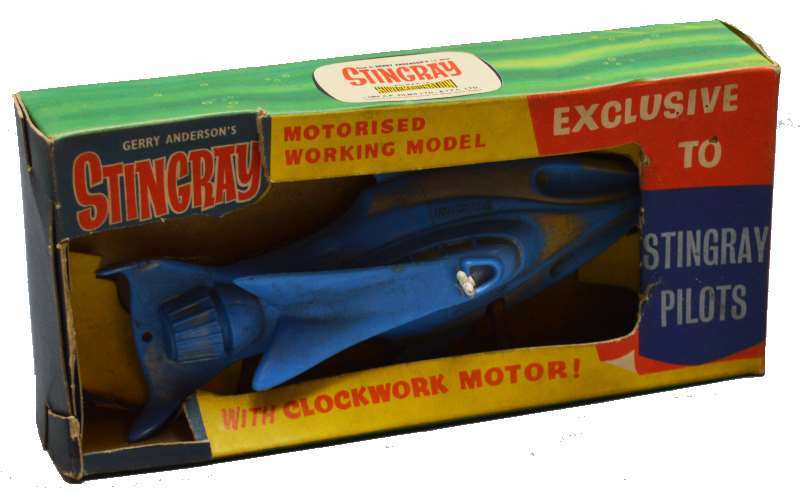 Sold for £25 at Vectis, October 2015. Sold for £100 at Vectis, February 2018. 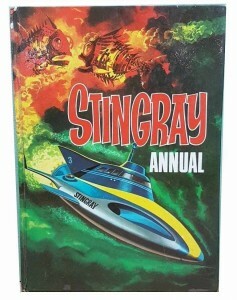 Sold for £110 at Vectis, July 2012. 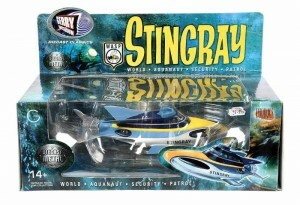 Stingray from the Gerry Anderson TV series. Sold for £150 at Locke & England, September 2016. 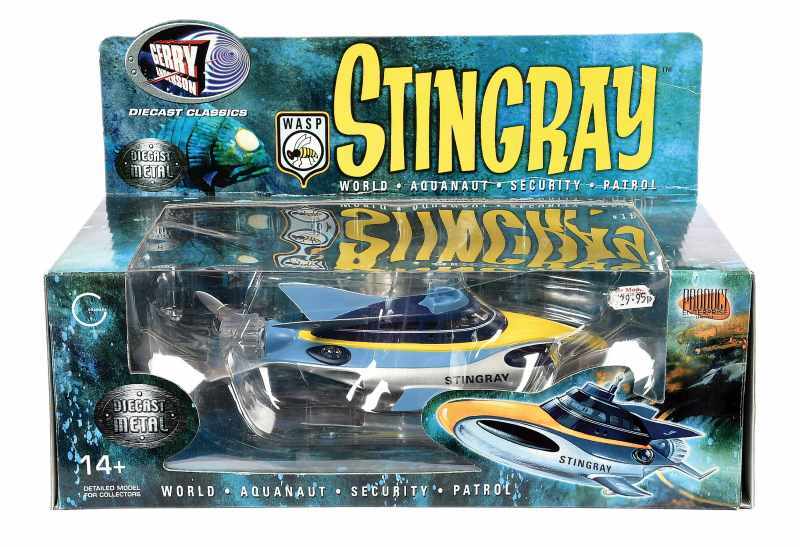 This 1996 Lakeside Toys Stingray All Steel Aquaphibian Titan Terror Fish looks amazing. 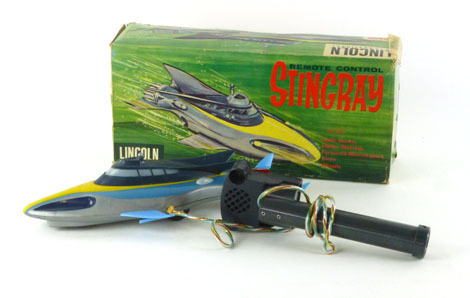 Lakeside Toys Stingray “All Steel Aquaphibian Titan Terror Fish”, 1966 issue, friction powered with moving eyes, mouth and tail. 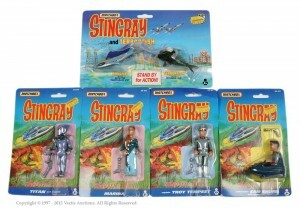 Sold for £360 at Vectis, November 2009. 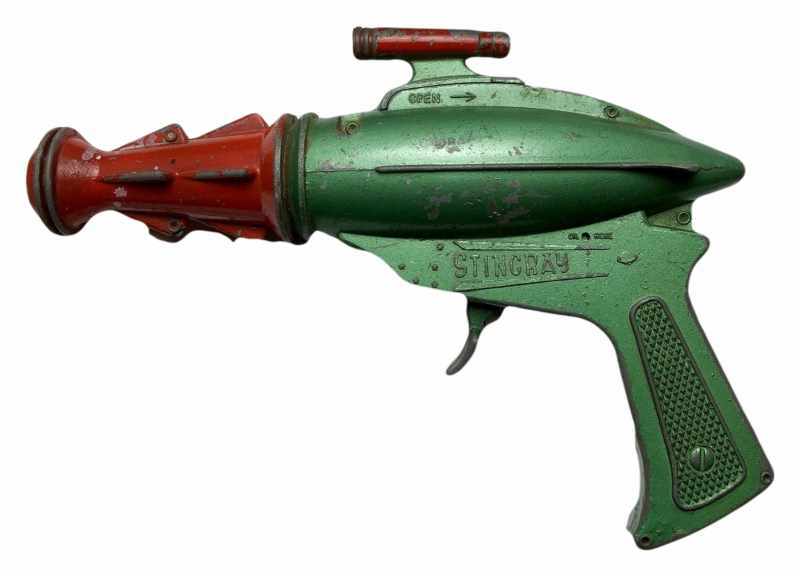 Image Copyright Vectis.